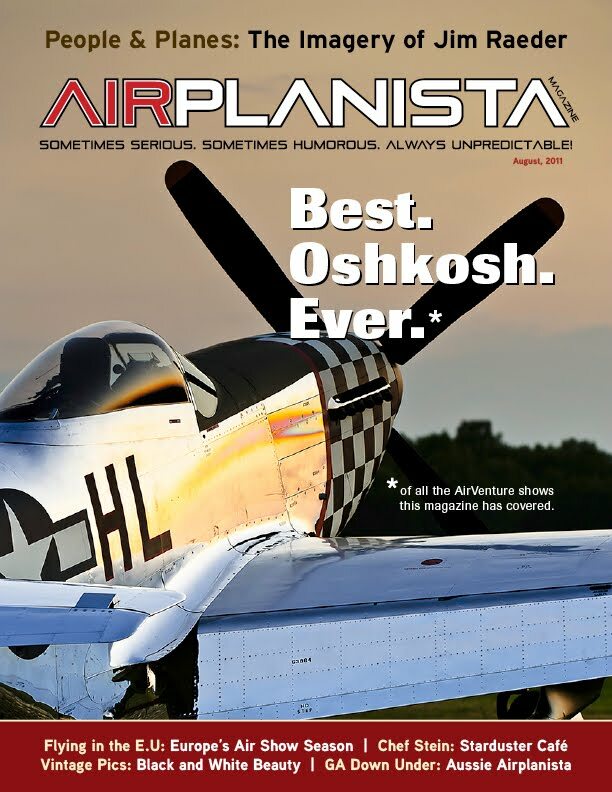 Airplanista Magazine is growing in popularity with each issue. For our July AirVenture preview issue, we had 85,000 confirmed page views and for our current August Oshkosh issue, we've had 57,000 page views in just six days! We think this is proof that readership is growing at a nice pace. 1. We love great GA advocacy stories, articles about activism, volunteerism and people or groups pushing hard to build a better GA community. Someone who has just flown their 15,000th Young Eagles flight, or has worked the flight lines at AirVenture for 40 consecutive years, these are the subjects we are seeking. Know someone who has devoted their lives to aviation? These are the "Airplanistas" we want to see in our magazine. 2. Airline stories are always welcome. Anything that relates to life on the flight deck or as an FA or dispatcher. Just be sure to check with your employer if you work for an airline as some have rules against talking to the media. 3. Flight training articles are always worth a look...especially some new twist on teaching an old procedure. 4. Anything involving kids. We are suckers for a good article featuring kids or 'tweenagers who love aviation. 5. Monthly columns: FA, airlines, training, aviation business, social networking, pitch us any column. 6. Anything else that is aviation related. Are you the expert on the Pan Am Clippers? That would make a fantastic piece. A super rich business owner who has paid for the primary training of 100 young students? You'd be a cover story, I can almost guarantee it! We are sorry to say that Airplanista Magazine cannot yet offer compensation for your writing. As a way of paying you, we do offer free ad space for contributors, and links back to your site. We do have plans to acquire future funding to pay contributors, but for now, everyone is submitting to the project simply to help us complete our agenda of telling these stories. If any of this sounds interesting and you are looking for a new outlet for your writing, pitch me your stories with writing samples via email to: editor@airplanista.com.